Thank you for making MSNV a philanthropic priority this year! Please note that there is a processing fee that MSNV incurs when you choose to use your credit card, which reduces the amount we can apply to the MSNV Fund. Your gift of support to The MSNV Fund: Together We Will! will provide direct funding for new initiatives that tuition alone will not cover. Your gift is an investment in the 21st century education of your child. Online: Simply click on one of the “Give” buttons above. Cash: Please submit cash gifts in a sealed envelope directly to one of our campus Office Managers. Hillbrook: Diana Hwang or Valleybrook: Oanh Tran. Please do not send cash gifts through the postal service. Check: Please make all checks payable to the Montessori School of Northern Virginia. Credit Card: Please call 703-992-0255. With stock/securities: Please call 703-992-0255. 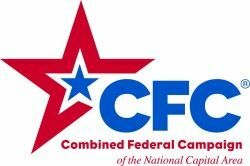 If you or a family member is a federal civilian employee, a postal worker or are in the military, the CFC (Combined Federal Campaign) program will allow you to make donations to MSNV (CFC. # 44191) Pledges made during the campaign season (Sept. 1 to Dec. 15) support eligible non-profit organizations like MSNV! All federal employees have the opportunity to participate, so please check with your organization for more information. By donating through CFC, you are supporting the mission of MSNV. Donate through CFC and help us by fueling the overall success of our 2016-2017 MSNV Fund. Thank you for your support!